When people ask why I love electronic dance music, it is because it is more than music for many, if not all. There is blood, sweat, tears, and pure emotion that goes into this music. Now, I can’t say that for every artist, but the ones that truly show their colors do really shine the brightest. With a heavy heart, Scotty of NIGHTOWLS lost his brother, Alan, a couple of weeks ago in a car crash. This is something that no one wishes on their own worst enemy and especially on one’s brother. Although, out of his memory and the fact that he was considered their biggest fan, they decided to play their first main stage show at Bass Camp Festival rather than cancelling. No one would have blamed them for that, but this truly shows their strength. The sisters of Krewella heard this unfortunate situation. Rather than the standard empathetic apology, they decided to do something different. They invited NIGHTOWLS on stage where they had the entire crowd chanting Alan’s name and dedicated their song, “Alive” to him. That is going above and beyond what they needed to do. It is gestures like this that really show that the industry isn’t always cutthroat and really truly one big family. 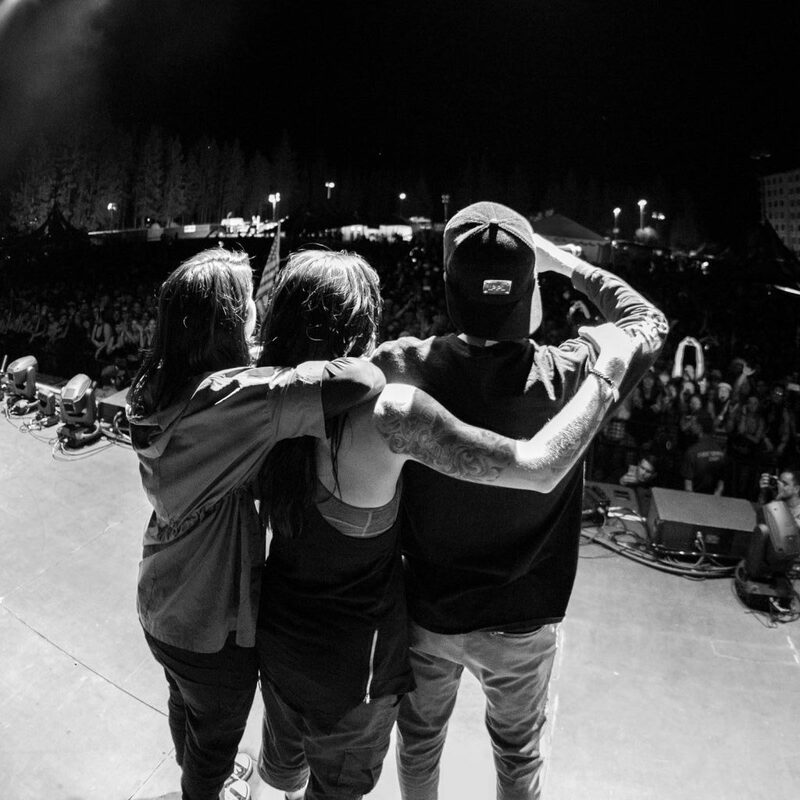 We commend Krewella for doing this and send our condolences to Scotty of NIGHTOWLS and his family. Here is the full statement from NIGHTOWLS. So you might have heard that a couple of weeks ago Scotty’s brother, Alan, passed away in a car wreck right before our first main stage festival show at Bass Camp Festival. He was one of our biggest supporters and would have 100% wanted Scott to play this show surrounded by friends & doing what he loves. It was a weekend of reflection, fun, mourning and most of all learning the value of a strong support system and fan base. We also learned Krewella are some of the nicest & most genuine people in the game. After hearing about what happened they invited us on-stage during their set and had the entire crowd chanting Alan’s name, dedicating the song ‘Alive’ to him. It was one of the most cathartic and moving moments we’ve ever seen on a stage, and wanted to say thank you to everyone involved. If you’re ever at one of our shows & feel like you’re too intoxicated to drive home and for whatever reason can’t get a ride find us, tell us, tweet at us, anything and we’ll get you home safe. Electronic music in all forms is rooted in community and we’ll do whatever we can to keep it that way. Don’t risk anyone’s life, including your own. It’s been an emotional journey but can’t wait to share more with you.